With summer quickly winding down, I thought I’d take the opportunity to update you on what we’ve been up to since our last newsletter. 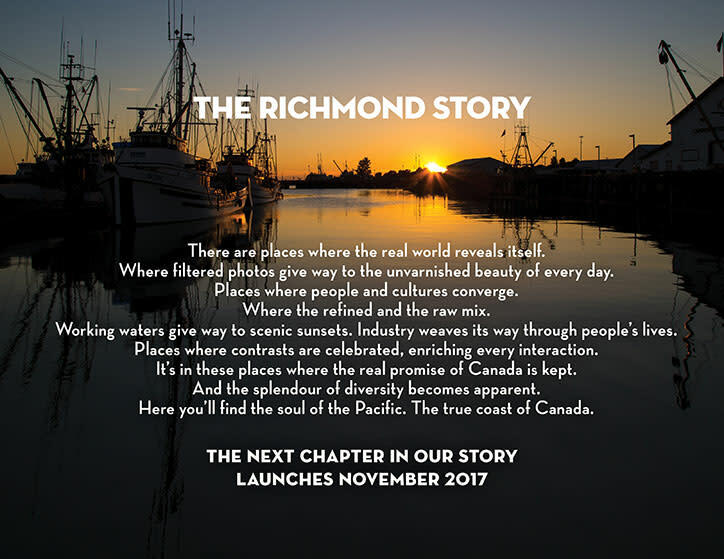 On September 12, we held a Tourism Richmond Town Hall attended by 60 plus tourism stakeholders at Britannia Shipyards National Historic Site. We provided updates on our 2018 Strategic Plan, progress on our new brand and our Industry Development initiative including our Cooperative Marketing Fund. Feedback was overwhelmingly positive and stakeholders are excited about the direction we’re heading. Thank you to all who attended. If you missed this session, we’ll be providing more details in future newsletters. We are making significant headway on the destination brand front. Our agency partner, C&B, and producer Sean Thonsen, who shot both the Travel Alberta Remember to Breathe video as well as Destination BC&apos;s Super Natural BC brand campaigns, scouted potential shooting locations in Richmond in mid-August. They&apos;ve almost completed their still imagery and video shoots and we are excited and confident that the end product will be something we&apos;ll all be immensely proud of. Without giving too much away, here’s the umbrella under which the new brand is being built. We think our agency has really nailed it! The brand will be unveiled on November 24 2017 at our Annual Industry Luncheon and you are all invited. Further details will be outlined in next month’s newsletter. 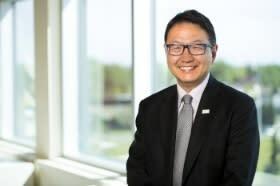 I will continue to meet with members and stakeholders throughout our destination, but if I have not yet met you, please feel free to contact me directly at bokabe@tourismrichmond.com. I look forward to the thoughtful exchanges and feedback from the community.